MATCH BLOG (Tues): you’re never too good to go club fishing! WELCOME TO the Tuesday blog. 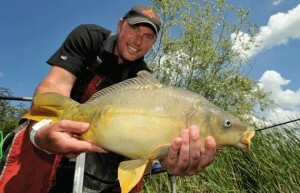 Tuesdays mean Steve Collett, the boss of leading online tackle retailers Harris Sportsmail. Steve’s blogs focus mainly on match fishing but also delve into his styles of pleasure fishing and specialist angling. IT’S GETTING to that time of year again. The butterfly anglers and sun worshippers finally make that arduous adventure to the tackle shed, in the hopes of a 15 degree sun-packed weekend, with flowers in bloom, and without the need of an icebreaker or a balaclava. Only to be greeted by the fisherman’s worst enemy…….the mouse, or the tracks of one. I used to always know the first weekend of good weather had arrived. Our shop keepnet sales went through the roof, and the major culprit was the mouse, then followed by the sales of carryalls and rod bags, as again they seem to prove too tasty for our little rodent friends. So that trip to the shed is now going to cost about the same as a 3-star week in Menorca now! And with this slow but gradual climb in temperature’s the “clubber” comes out, not the kind that takes the walk of shame at 6am, after a session on blue WKDs, but the spine of our match fishing world – the clubman, hell bent on achieving the holy grail of club angling “the aggregates”. I for one cannot wait, I absolutely love club match fishing, and looking at a set of industry figures so do many others, as it swarms the more professional open scene in numbers, and keeps going but why? You just have to look around any club match up and down the country to see why this is appealing, and my observations, will probably be similar to every club up and down the country. Fishing clubs are full of characters and some very decent match anglers too! The “pro” – every club will have one. The latest gear, matching Goretex that has seen less rain than Ghandi’s flip-flops, a top of the range company car, and probably spent two nights prepping rigs and tackle, whilst scouring the interweb for info on the venue. Every club has one. The “master”– this is the one to watch, the closest he has got to a matching suit was on his wedding day, and his pole will be older than most of his fellow competitor’s, but he is always there or there about come results time. The “master” also sneaks down to the venue mid-week for a practise and a six hour long chat with the owner, nothing fancy but lethal on the right peg. Isn’t it time you fished a club match? The “joker” – these are the lifeblood of any club, although mick-taking may seem at the top of their agenda, they are probably more serious about winning than it may appear. And when a victory does come their way, it’s greeted with even more mick-taking and a nonchalant swagger. The “weekender” – again the very soul of club angling, probably the closest he would ever get to picking up a prize, will be at the fur and feather raffle, but he keeps going week-in week-out. The “old timers” – these have seen it all before, still use a wicker basket, and think pellets are for airguns, and paste is for wallpaper. A pint of reds with a few whites, and if they are feeling a little adventurous a tin of corn, will grace their round bait tubs. The “young un” – there is always a lad of a dad, or lady, on the scene, with a few hand-me-downs and constant barrage of abuse from the parent: “you’re not doing this right, you’re not doing that right, you’re not feeding enough.” And on the occasion said young ‘un beats the parent, there is a deathly silence and a keepnet full of excuses at the ready. The “wench” – occasionally and I’m glad to say more commonly a female is allowed into our domain, now this can cause confusion, where can we go for a wee-wee becomes a committee meeting type situation, and what if the female person thingy wins? Well there will have to be another committee type meeting, because obviously she has either drawn an out and out flyer or cheated. The “silent one” – this is the newbie, silent but deadly, no one knows of his ability, or the fact he may have just been released from Broadmoor for killing a man with a catapult, all eyes will be on him for the first few weeks. Bait checks will become a feature, and any opportunity to ban him will be seized upon immediately. The “Bargain Booze shareholder” – 8am on a misty pool the draw is taking place, and the birds are singing, it sounds wonderful, then “pssssssttt”, a can of beer is opened from a six-pack and a belch that sounds as if it has come from the Zambezi River breaks the ambience. Six cans later, and the tales of how he beat Des Shipp in the 1974 Cub Scouts National on the River Monkey in Wales become quite funny. So there you have it, in a nutshell club angling as I see it. And do you know what, I wouldn’t change it for the world. I absolutely love the crack, and look forward to fishing, can you imagine that, actually looking forward to going fishing and having fun? So if you haven’t experienced the club scene for a while, or your on the “pro” circuit, join one. You will find that many club matches have attendances larger than the Open you are fishing the day after, and I tell you what, you will have sides that hurt and laugh lines all over your face. But don’t let that fool you, it’s still a very cut-throat competitive place to be. Well the rivers have closed, some see it good, some bad, but that’s another story. However the pools are still feeling the effects of our current Artic climate, and species other than carp have still been playing a large part in the weights. None more so than at Cudmore Fisheries where the ever dominant Andy May (MAP) had a superb result on Sunday with a 134-8-0 of carp, barbel and skimmers to take the honours and smash the opposition by over 80 lb. Not only a fine performance but a very nice guy too, so Daddy May Jr, take a bow – this week’s Anglers Mail Performance of the week winner. STEVE COLLETT RETURNS NEXT TUESDAY (MARCH 26). Check out the brilliant Action Replay featuring newly crowned Angler’s Mail Kamasan Matchman of the Year Mike Reed in this week’s Angler’s Mail.